The Whitefriars Christmas Market in Canterbury will open on Friday 16 November after the official Christmas lights switch-on event and trade late until 8pm. With 68 cabins and a further 70 small, artisan businesses represented in a shared space, plus an additional week of trading, this is the biggest and longest-running Christmas market ever seen in the city. The market will be located throughout Whitefriars – in Whitefriars Street, Gravel Walk, Marlowe Arcade and St George’s Street. On offer will be handmade and unusual gifts, decorations and food specialities in a festive setting that includes the ever popular Santa’s Grotto. Here young visitors can make a Christmas decoration and receive a gift from the big man himself. Admission is £4 per child and places should be booked online at: www.canterburychristmasmarket.co.uk. Santa will arrive in the city at a special event planned for 30 November from 5pm to 6pm, accompanied by his elves and Christmas characters with lots of giveaways for children. The Christmas Market runs until 24 December. Opening hours will be 10am to 6pm Monday to Friday, 9am to 6pm on Saturday and 10am to 5pm Sunday, with some late nights close to Christmas. 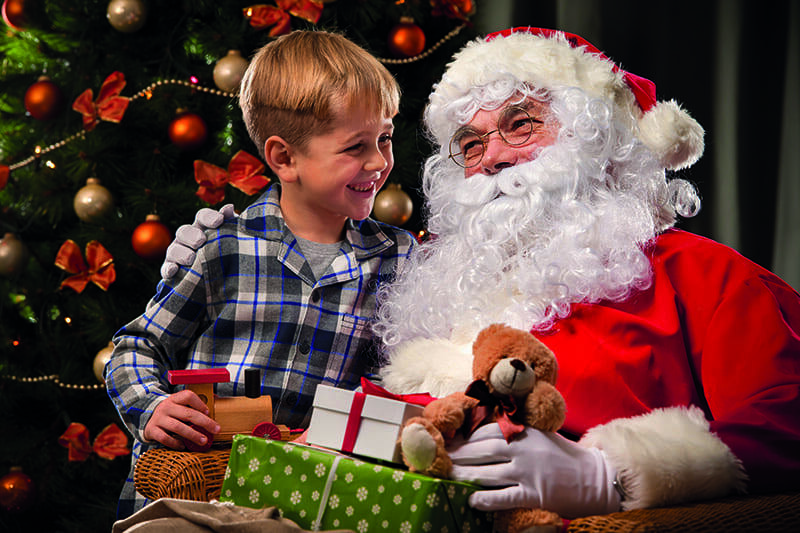 Santa’s Grotto, which last year welcomed over 1,800 children, will be open from 1 December until 24 December in Whitefriars Square, from 11am to 4pm Sunday to Friday and 10am to 5pm Saturdays (closed 3, 4, 10 and 11 December). The Whitefriars Christmas events programme includes free art and craft activities, treasure trails, live music performances and character walkabouts. A programme is available from Whitefriars stores.